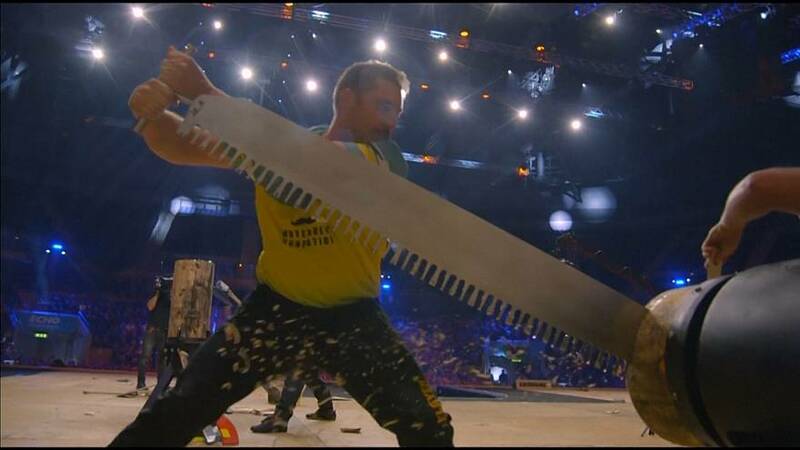 Athletes showed off their lumberjack skills at the Timbersports World Championship in the UK city of Liverpool. The Australians, who knocked out host nation Britain in the round of 16 before defeating the Czech Republic in the quarter-finals, beat their own world record in the semi-final, shaving off more than a second of their previous record to clock a new time of 45.10 seconds. Their winning time in the final was 46.63, second to the United States' 54.57 time. The Americans, who beat an impressive Polish team in the quarter-finals, produced a personal best for the team in the semi-final as they pipped New Zealand for a place in the final with a time of 51.28 to New Zealand's 52.25. Canada beat New Zealand to clinch third place.